After what seemed like a never-ending run of mediocre business books, over the past few weeks I have discovered some phenomenal ones. 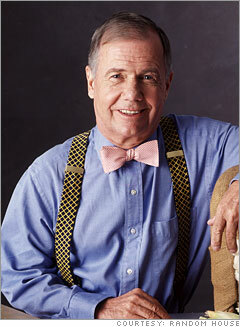 This morning I finished reading "Street Smarts: Adventures On The Road And In The Markets" by Jim Rogers. Rogers co-founded the Quantum fund with George Soros in the early 1970's and in that decade, which was a secular bear market and one of the worst in history for Wall Street, returned 3,700% while the market only experienced a 42% gain (and was ravaged by inflation making the real gains negative). Rogers discusses the major events of the decade through his eyes and provides the learning lessons for investors (extremely important for today as we are in another secular bear market in stocks). At 37, he had acquired enough money to last many lifetimes and he did what most money managers do not do - he walked away. It was the equivalent of Michael Jordan walking away from basketball at the peak of his prime in the early 1990's. Rogers decided to take a trip around the world on his motorcycle, setting the world record for distance traveled. He discusses what he learned being a part of almost every culture in the world and how his world travels (which he has continued) relate to the financial world we find ourselves today. If you are a parent, he spends a lot of time on the importance of education and the future of his children. He recently moved to Singapore so they could learn Mandarin and grow up in their school system. He is extremely bullish on commodities, specifically agriculture. "Harvard, Princeton, and Stanford, though they may not know it yet, may be heading toward bankruptcy. Museums, hospitals, and other institutions we love and know are heading for trouble, and we are going to see a lot of them vanish in the upheaval, be it financial or economic." "If you were smart at the start of the nineteenth century, you made your way to London. If you were smart at the start of the twentieth, you packed up and moved to New York. If you are smart at the start of the twenty-first, you will find your way to Asia." "Throughout history there have been periods where financiers were in charge, and there have been periods where the producers of real goods - farmers, miners, energy providers, lumberjacks - were in charge. In the '50s, '60s, and '70s, before the big bull market, Wall Street and the City of London were backwaters. They will be again." "Today, the United States, alone, graduates over two hundred thousand MBAs a year, as opposed to five thousand annually in 1958. The rest of the world produces tens of thousands more (there were none abroad in 1958). Over the next few decades, those business degrees will be worthless, a waste of both time and money." He sees the current booms of two of the BRICs (Brazil and Russia) as heavily tied to the commodity boom, and when it busts (as all booms do), it will take those economies down with it. India, for many reasons he discusses, is not ready to become as strong an economic power as many anticipate. While he sees many short term troubles ahead for China (just as the United States had in the early 1900's), it is the one true future area of growth in the world over the decades ahead. From his understanding of economics, discussions on health care, litigation, and his ability to provide historical examples of financial crisis and resolution in countries around the world, I could go on forever with quotes and wisdom from the book. I highly recommend picking up a copy. Why Did Gold & Silver Fall?